1. Registration Obligations. To use a Web Site, you will need to register as a user on that Web Site. Upon completion of the registration process, we will provide you a designated account and password. You agree to provide truthful and accurate information during the registration process and update that information if it should change while you are registered as a user. You shall notify us at circulation@rbj.net of any known or suspected unauthorized use of your account or any known or suspected breach of security, including the loss, theft or unauthorized disclosure of your password or payment information. You are responsible for all usage and activity on your accounts on any of our Web Sites, whether you knew of or authorized the access. You may not assign, sublicense or otherwise transfer your account or allow any other person to use your account or password. We reserve the right to terminate your account for any fraudulent, abusive, or otherwise illegal use of our Web Sites. 2. Fees and Payments. You must be a subscriber to access and use certain Services on our Web Sites and we reserve the right, in our sole discretion, to impose fees to access and use Services that we now provide for free. 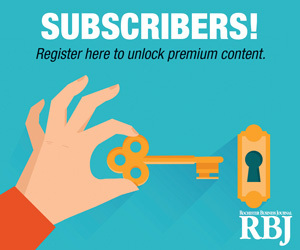 To subscribe to any of our Web Sites, or Services, please go to circulation@rbj.net. You agree to pay the subscription fees and other charges incurred in connection with your account for any Service (including applicable taxes) at the rates in effect when you incurred the charges. If your subscription includes access to areas containing premium content or Services, we may charge you additional fees for that access or that access may be subject to additional terms and conditions, which we will separately disclose in those areas. We may change the fees we charge for subscriptions or access to certain Services with advance notice to you. We bill subscription fees at the beginning of your subscription or on renewal. c. You are responsible for your User Content and, while we cannot review all User Content and are not liable for it, we do reserve the right, but not the obligation, to delete, move or edit User Content that it, in its sole discretion, deems to be abusive, defamatory, obscene or in violation of any applicable laws or otherwise inappropriate. If you have a complaint about any user posted material, please email circulation@rbj.net. 7. Termination. You may terminate this Agreement and your subscription to any Web Site by contacting us at: circulation@rbj.net. We may terminate this Agreement and your subscription and/or access to any Web Site in our sole discretion. If we terminate your subscription and/or access to any Web Site we will give you written notice of the termination. Note that conflicting termination, refund and renewal rights as found in your subscription agreement for access to a specific product or service take precedence over the general provisions of this section, and this Agreement. 8. Refund Policy. You may cancel your subscription at any time and receive a full refund on all undelivered issues of your print subscription and or time remaining on your online subscription, with the exception of monthly subscriptions. Monthly auto-renew subscriptions may be cancelled at any time to terminate future monthly payments. Please call our customer service department at 866-941-4130 to receive a prorated refund, including tax (if applicable). Refund requests will be processed within 10 business days of receipt of the request and will be refunded in the same method of original payment. Please note that, on your credit card statement, the refund will appear as BridgeTower Media. 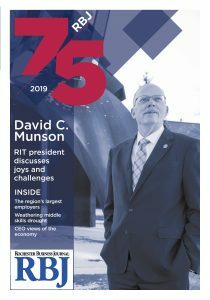 To request non-subscription related refunds, please contact us via phone at 866-941-4130 or e-mail us at circulation@rbj.net. 9. Auto-Renew Policy. If you subscribe to auto-renew, your subscription will renew automatically at your expiration date at the regular subscription rate in effect at the time of renewal. We will automatically renew your subscription and charge your credit card unless you notify us by telephone, mail, or e-mail (receipt of which must be confirmed by e-mail reply from us) of your decision to terminate your subscription. You must cancel your subscription before it renews in order to avoid subscription fee charges to your credit card for the renewal term.